The hand grips are made of vinyl and are contoured for added comfort. This medical walker ensures maximum strength and durability, while promoting safe walking for elderly, post-operational patients and partially disabled. Lightweight and convenient, this medical supplies walker for seniors is u-shaped for optimal comfort. Manufactured out of 1 inch durable aluminum frame, it makes a perfect standing and walking aid for those who need it. Push button mechanism works swiftly and helps the patient fold the walker if necessary. 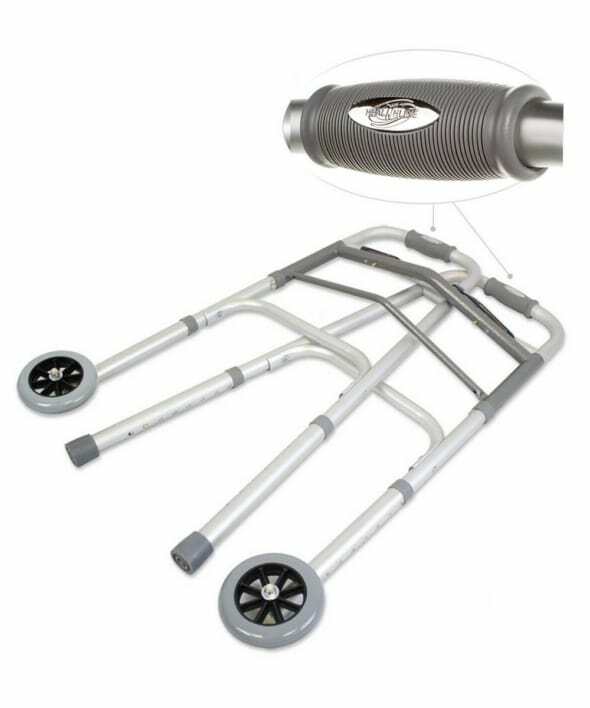 This walker’s for seniors handles are vinyl contoured for comfort and quick firm grip. Very easy to clean and maintain, just rub the dirtied surface with a slightly damp cloth. Legs easily adjust for the perfect fit. Comes with five inch wheels and glider caps for the rear legs. 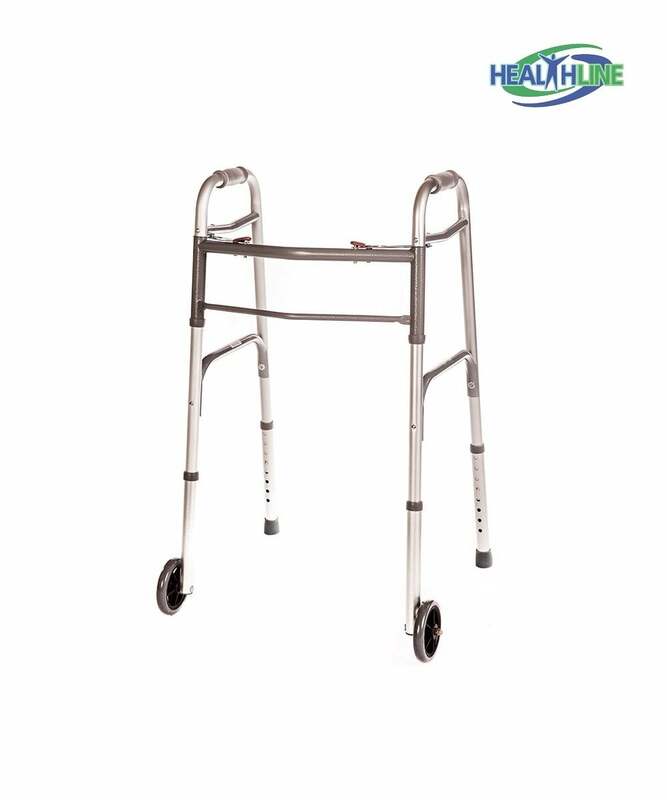 Healthline Trading produces three variations of the walker with wheels for seniors: heavy duty, senior, junior with weight capacity up to 300 pounds. 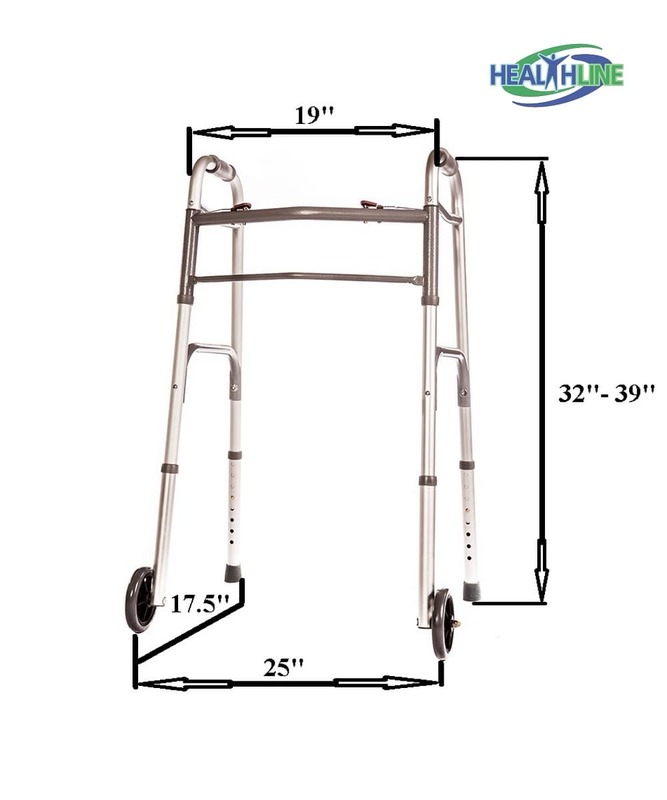 This product belongs to classic folding walkers for seniors. I bought it for my husband. Although, he keeps on pretending to be a strong young man, turning 70 years old brings its consequences. With this walker, he maintains his active lifestyle, and our walks on fresh air don’t become shorter.